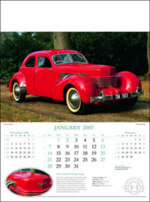 Collectors cars calendar 2019 with logo from Calendar Lady Promotions. True classics of our time. Enjoy again, or indeed for the first time, these memorable vehicles that paved the way for todays supercars. Accompanying viewpoints and useful facts add kudos to this classic promotional calendar. Always have your companies details and logo advertising you! 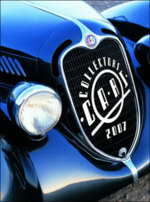 Other calendars besides our Collectors cars calendar 2019 with logo click here. Other promotional and personalised items besides our Collectors cars calendar 2019 with logo click here. To find out more about our Collectors cars calendar 2019 with logo click here and fill in the contact form and we'll get straight back to you.